There is something very wrong when a political party can get hours of TV coverage to say nothing but scientists warning us of catastrophic climate change get a minute on the news bulletin. For a long time the British electorate have yearned for the luxury of three options on Brexit – they’ve had to make do with one. What did illuminated manuscripts ever do for Dundee? This question arises on looking at a colourful medieval book on show at the city’s new V&A, Scotland’s first design museum. American politics has given us many things. The first opinion polls, the observation that “all politics is local” and the remark “politics is showbusiness for ugly people”. It also gave a name to politics which was so pleasing it was hard to object to: motherhood and apple pie. 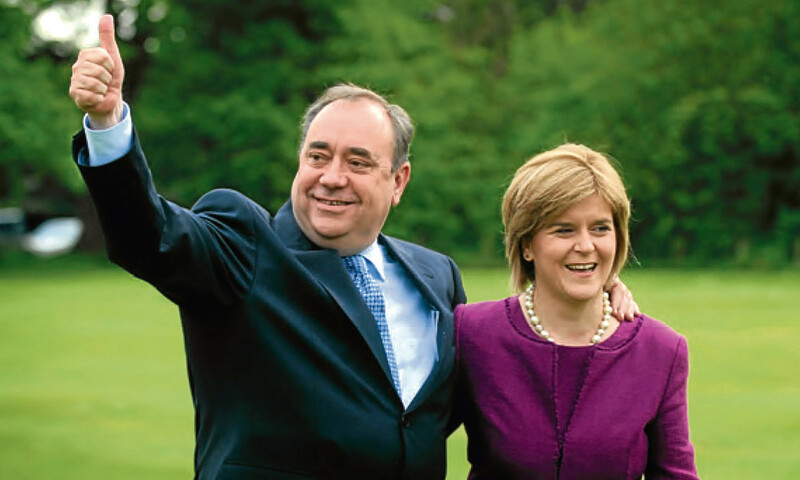 The accusations against Alex Salmond will not only damage him, but also his successor. As events turn in their favour, the Nats are at risk of imploding. It was used toilet paper. The scrap floated past, like seaweed. For the first swim of the holiday, it wasn’t a good start. We are promised paradise, but get partially decayed toilet paper in the salty waters of the Mediterranean. George Orwell analysed Scot/Jew jokes.